SARAJEVO – The RCC’s South East Europe (SEE) 2020 strategy is to be adopted in Sarajevo this Thursday, 21 November 2013, at the Ministerial Conference of the South East Europe Investment Committee. Creation of one million new jobs in SEE until 2020 is the most important aim of the strategy dubbed “Jobs and Prosperity in a European Perspective”. The event will bring together ministers of economy from Albania, Bosnia and Herzegovina, Bulgaria, Croatia, Kosovo*, Moldova, Montenegro, Romania, Serbia and The Former Yugoslav Republic of Macedonia, representatives of the European Commission and other regional and international partners and initiatives, international organizations, and donor community. The Ministerial Conference will be opened by Goran Svilanović, Secretary General of the Regional Cooperation Council, Ermina Salkičević-Dizdarević, Deputy Minister of Foreign Trade and Economic Relations of Bosnia and Herzegovina, and Peter Sørensen, European Union Special Representative for Bosnia and Herzegovina. The conference is being co-chaired by the government of Bosnia and Herzegovina and the RCC. 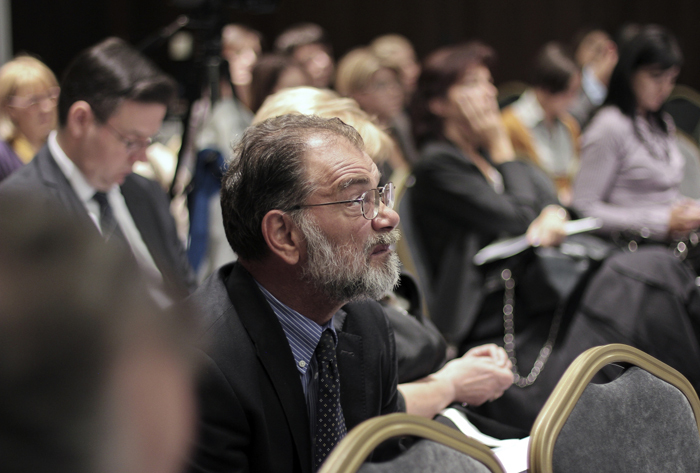 Journalists are invited to the press conference on Thursday, 21 November 2013, at 12.00 p.m., at the hotel Bristol, Fra Filipa Lastrića 2, 71000 Sarajevo. The conference will be hosted at the same venue, starting at 09.30. The official language of the conference and the press conference will be English, with provided interpretation in an official language of Bosnia and Herzegovina.